FAYETTEVILLE, TN—The Southern All Star Dirt Racing Series presented by MaxFab will start the 2019 season with a traditional opener as the series will sanction the 19th Annual Ginger Owens March Madness 60 paying $12,000 to win and $600 to start for the Southern All Star Super Late Models Sunday afternoon March 3rd. Ginger scored several races for the series over the years and lost her fight to cancer last week after a 14th month battle so Cherokee promoter Scott Childress added her name to the title as it will now be called. 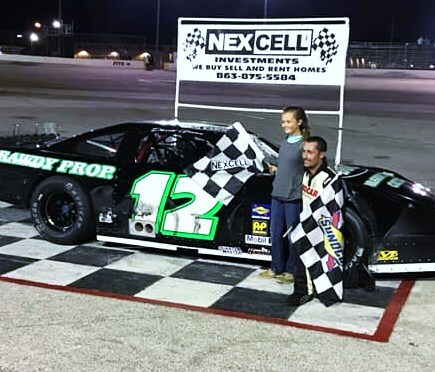 The 2019 Southern All Stars Championship run will also start with this event as it has in numerous years and there will be some familiar names coming back to the series as well as drivers that have intentions on running the series in 2019. Current champion and Cruise with the Champions/Dirtondirt.com Rookie of the Year Jay Scott of Fayetteville,, TN., will be back to defend his title in 2019 as well as the second place finisher Mark Dodson of Caledonia, MS., and fifth place finisher Joseph Faulkner of Flintville, TN., all are expected to return, Four time Southern All Star champion Riley Hickman has plans on returning to the series in 2019. New drivers that have expressed interest in a 2019 title run include from the state of Georgia, Zach Leonhardi, Andrew Littleton, J R Moseley and Kenny Collins, from Mississippi Leon Henderson and Austin Arnold, from Tennessee Christian Hanger and from Alabama J T Seawright and Billy Franklin.. Many of these drivers will be running for the rookie title as well as championship and will be their first run at a touring series title. The race itself will be another one of the Southern All Star events that is action packed as the feature will be 60 laps, along with SUNOCO Race Fuels/Knowles Race Parts qualifying, Hoosier Racing Tires qualifying heats; PPM Racing Products B Main will all be part of the action. 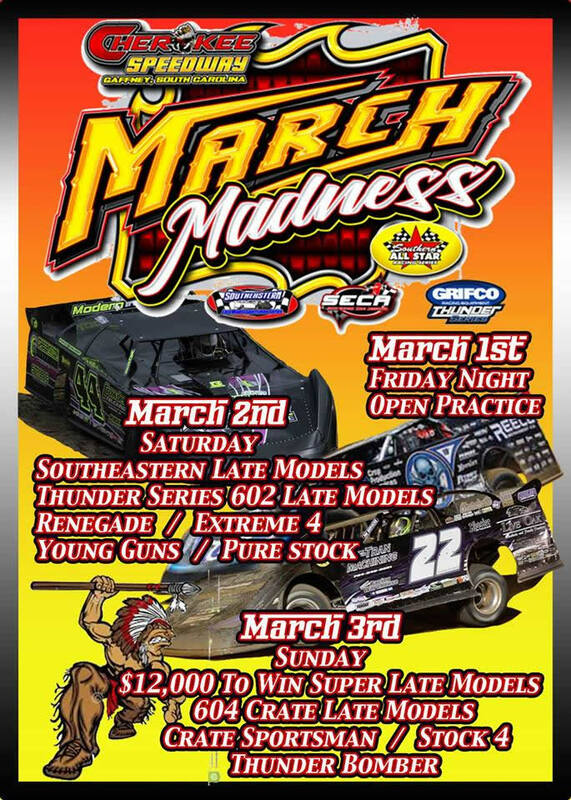 Friday night March 1st will be practice night as well as Saturday March 2nd there will be practice session for the super late teams with race day Sunday afternoon March 3rd, pits gates are opening at 10 am drivers meeting at 12:30 and hit laps to follow. Also just added the race will be broadcast live through pay per view at www.speed51.com Sunday afternoon as well as the whole weekend of racing at Cherokee Speedway. For more information Cherokee Speedway www.cherokeespeedwaysc.com or 864-489-1969. Tire Rule: Hoosier 1350, 1600, Any 70.